The Scottish Federation of Housing Associations (SFHA) has today (Tuesday 24 January) welcomed the publication of the draft Scottish Energy Strategy by the Scottish Government. However, the SFHA has called for the strategy to include greater emphasis on increasing the energy efficiency of homes as it says this is the most effective method of reducing carbon emissions. “The SFHA welcomes the publication of the draft Scottish Energy Strategy and its ambition to provide a coherent roadmap to a low carbon energy system in Scotland by 2050. We are also pleased to see the commitment to increase the use of renewable energy to meet domestic supply needs. “However, we would like the Energy Strategy to acknowledge that the most effective method of reducing carbon emissions is by reducing the need for energy use in the first instance – and this can be done by increasing the energy efficiency of homes. We therefore call on the Scottish Government to put this at the heart of the strategy – not only is increasing home energy efficiency the most cost effective way to lower carbon emissions, but it reduces fuel poverty and creates jobs and training through insulating and retrofitting our existing homes. 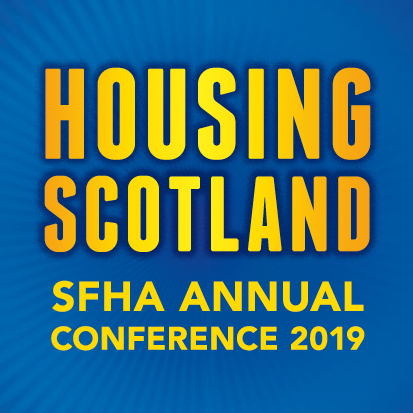 The SFHA is the voice of the principal builders and managers of new affordable housing for rent in Scotland. Housing associations own and manage around 40% of the country’s affordable rented housing stock, over a quarter of a million homes across Scotland. Housing associations and co-operatives are not-for-profit bodies regulated by the Scottish Housing Regulator.